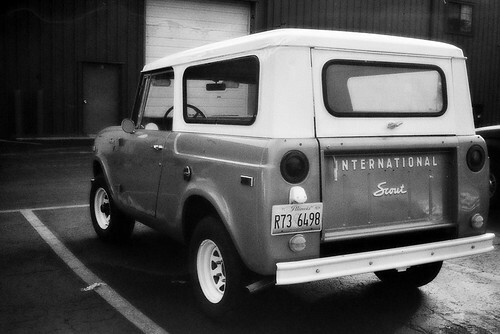 The Scout by International Harvester was a pioneering American off-road vehicle manufactured from 1961 to 1980. A precursor of more sophisticated SUVs to come, it was created as a competitor to the Jeep, and it initially featured a fold-down windshield. The Scout and second generation Scout II were produced in Fort Wayne (hometown of your humble photographer), Indiana as two-door trucks with options of a half cab pickup or removable hard or soft top.